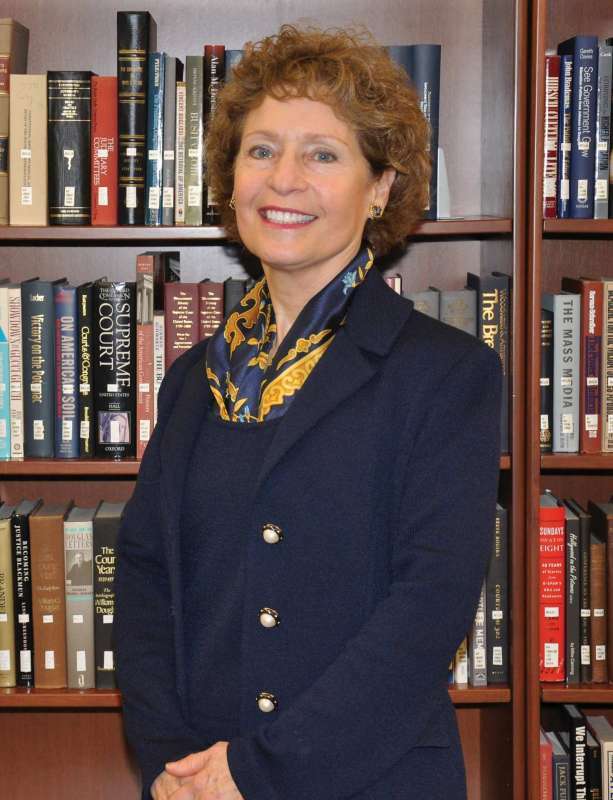 Dr. Mary J.C. Hendrix is Shepherd University’s 16th president and is the first graduate to lead the school in its history. Hendrix earned her B.S. from Shepherd in pre-med/biology and her Ph.D. from George Washington University in anatomy. From 1977-1980, she was a National Institutes of Health Postdoctoral Research Fellow at Harvard Medical School in the department of anatomy and cell biology. In 1996, Shepherd presented her with the Doctor of Science honorary degree. She became a leading scientist in cancer research, with a focus on identifying genes that contribute to cancer — with a goal of discovering new therapeutic strategies to inhibit metastasis. Hendrix is currently on the Board of Directors at the Annenberg Center for Health Sciences; she chairs the National Disease Research Interchange Board, which is funded in part by NIH; she serves on the Board of Directors for Research!America, a not-for-profit public education and advocacy alliance working to make health research a higher national priority; and she also serves on the Chicago Council for Science and Technology, and the Executive Advisory Board for Northwestern University Center of Cancer Nanotechnology Excellence. Hendrix chairs the Board of TaiRx US, Inc.; and is a member of the Board of Directors of Meritus Medical Center. Before coming to Shepherd, Hendrix was president and chief scientific officer of the Stanley Manne Children’s Research Institute at Ann & Robert H. Lurie Children’s Hospital of Chicago and Northwestern University’s Feinberg School of Medicine (2004-2016). Prior to that, she held various positions at The University of Iowa (1996-2004), St. Louis University Health Sciences Center (1994-1996), and The University of Arizona (1980-1994). Hendrix has been a member of the National Institutes of Health (NIH) Council of Councils, the National Human Genome Research Institute Council, and the National Cancer Institute (NCI) Board of Scientific Advisors. She is a Past-President of FASEB (Federation of American Societies for Experimental Biology) consisting of more than 100,000 members—the largest coalition of biomedical research societies in the United States. She has testified before Congress numerous times in hearings regarding the budgets of the National Institutes of Health, Department of Defense, and National Science Foundation, and about human embryonic stem cell research. She also served as a co-founder and co-director of the Virtual Naval Hospital, a digital medical library created to provide critical information to service personnel deployed at remote sites which was adopted by the navies of four countries. From 1985-1994, Hendrix served as a commissioner on the Arizona Biomedical Research Commission (formerly the Arizona Disease Control Research Commission), an arm of the Arizona Department of Health Services that provides grants for research and education in the state. Hendrix has written more than 280 publications on biomedical research and holds 10 patents in the space of cancer diagnostics and therapy. She is the recipient of numerous awards, including a 2002 MERIT Award from the National Cancer Institute, the 2003 Distinguished Achievement Award, Celebration of Excellence Among Women, from The University of Iowa, the 2004 Australian Society for Medical Research Lecturer and Medal Recipient for research and advocacy, the 2006 Distinguished Women in Medicine and Science Award, from Northwestern University Feinberg School of Medicine, the 2006 Henry Gray Award by the American Association of Anatomists that recognizes unique and meritorious contributions to the field of anatomical science, the 2008 and 2012 Princess Takamatsu Cancer Research Lecturer Award in Japan, the 2012 Princess Takamatsu Memorial Lectureship from the American Association for Cancer Research, and the 2014 Vision and Impact Award from the Regional American Committee for the Weizmann Institute of Science.